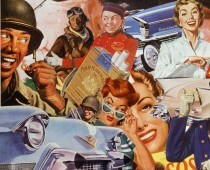 Like clockwork, Labor Day once signaled the changing of the guard at least as far as mid cenetury shoes were concerned. The Tuesday after Labor Day one would be hard pressed to find the sight of white shoes in my mothers closet. By the end of the first Monday in September, along with her white wardrobe and wicker bags, white shoes had been neatly packed in thier proper shoe box to go into hibernation for the long dull winter until they woud be summoned for their Memorial Day appearance. It also signaled that the countdown had begun for the end of summer and the new school term. Across the country , crisp black and white marbled composition notebooks were hastily purchased, and last-minute yellow Dixon number 2 lead pencils skillfully sharpened. 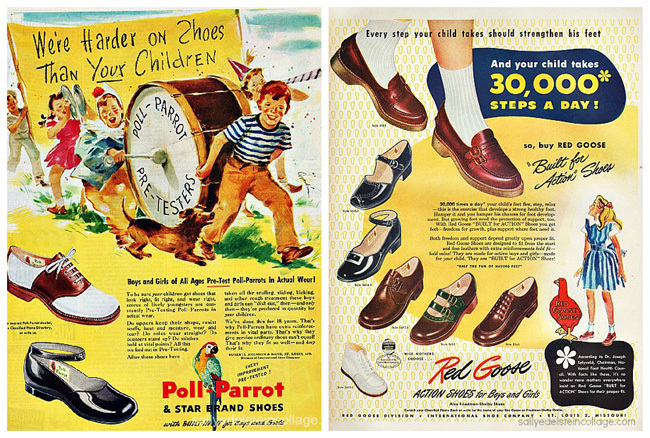 But most important of all were the purchase of new school shoes. 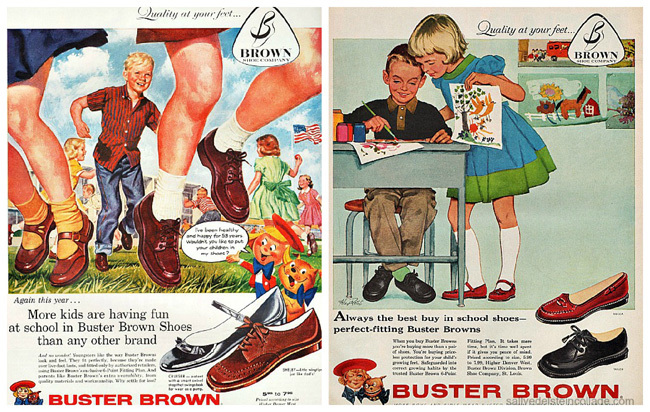 In September of 1960 I would be heading to kindergardent and to prepare for the big school launch, a visit to the shoe store was in order, as summers canvas Keds, were sorrowfully replaced with sturdy, sensible school shoes. Getting my brother Andyand myself to trade in our shoe of champions for a pair of Elementary School approved Oxfords was no easy feat. 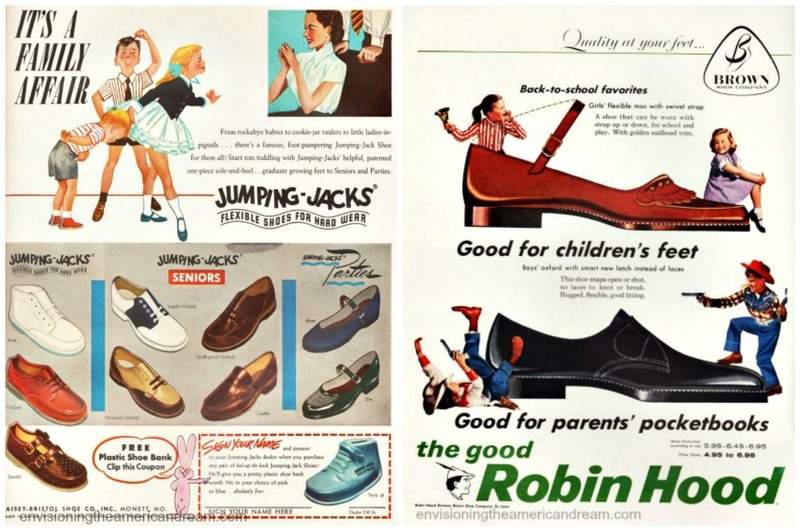 Getting that extra care to help childrens growing feet was oh-so-important. It was none too soon for my feet to start getting the protection they would need. 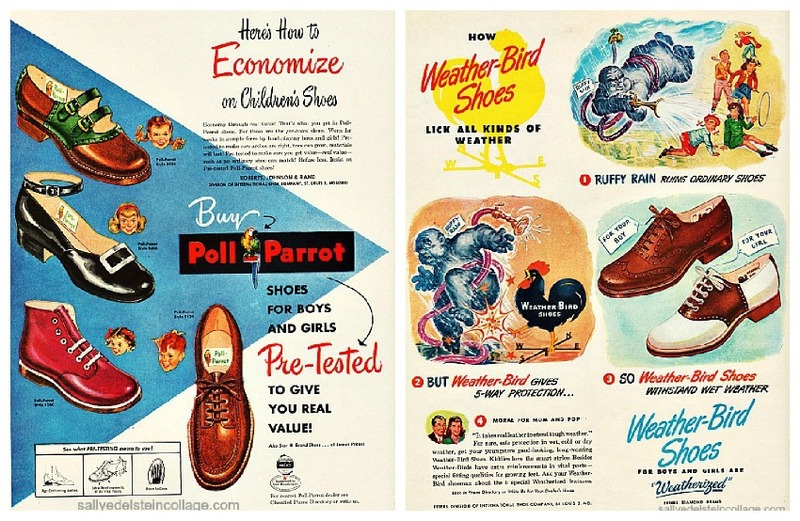 All week-long radio commercials were competing for attention on the airwaves as all the shoe stores were offering Labor Day sales and new school term incentives. Once in the store, crowds oohed and ahhed as children of all ages toddled and walked down the blue carpeted runway with its picture of a winking Buster Brown and Tige. Working the runway in new sporty saddles, hard-working Oxfords and the hands down beauty-shiny mary janes, kids preened and twirled for their mothers. I sat on Mom’s lap and curled my toes when the shoe salesman measured my feet. His pudgy fingers with thickened yellow nails had nicotine stains between the first and second fingers of his left hand. 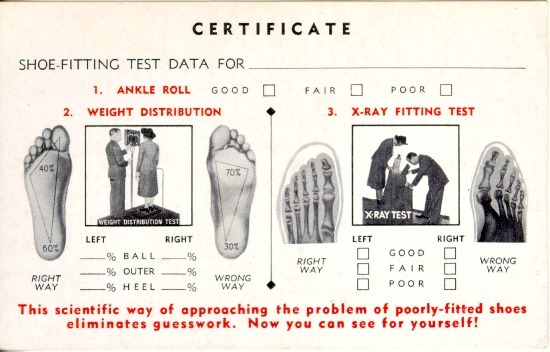 Skillfully he placed my foot in the classic Braverman metal shoe measuring device. 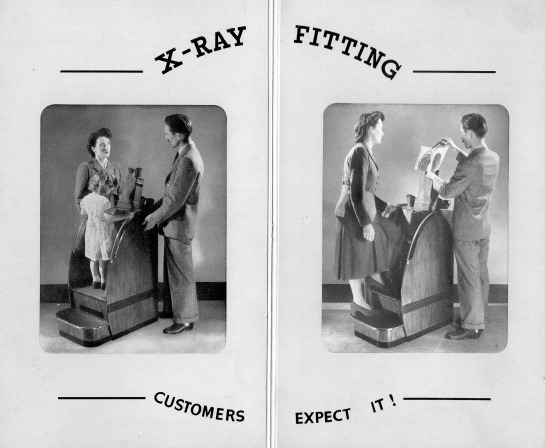 Naturally my brother Andy was fascinated by the fluoroscope – it was not unlike something that Captain Video, that technological genius, had invented like the Opticon Scillometer a long-range x-ray machine to see through walls. Its one of my classic favorites. Here’s an even older one.. I remember those machines but they were decommissioned already in Detroit by 1960. I never did get to wiggle my toes and watch my bones move around. Perhaps now that I am near 70 I can do so without ill consequence. You gave me a good laugh!